Tracking clicks of your visitorsGenerate a list in admin backend of tracked sites Generate a Visual Heatmap of the tracked clicks. Generate a Visual Heatmap of the tracked clicks. 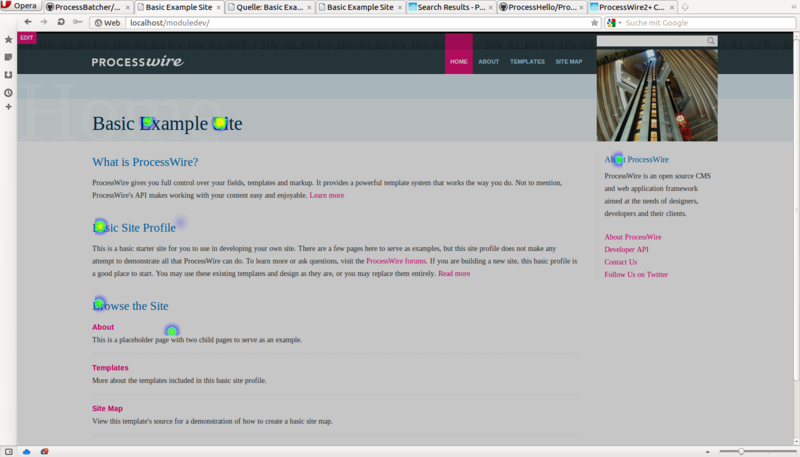 copy the Folder Heatmap to your site/modules folder. Now check this field on every page you wish to be tracked.